Product Features: The Sally Hansen Airbrush Legs is spray -on makeup for your legs it is said to be lightweight, water and transfer resistant and is proposed to cover a host of imperfections with its Palmaria extract infused formula. Application : Its imperative that you spray the contents in your hands (see below) and then apply it to your legs in the same manner as how you would apply moisturizer as this gives a smoother finish rather than spraying it directly onto your legs. It is also important that you let your moisturizer completely absorb into the skin before applying the product as this will increase the longevity/wear of the product. Overall Experience: When I first applied this product I honestly wanted to burst out singing Rihanna's song "Where have you been", this product delivers, it is really effective at blurring the scars on my legs without looking like makeup. This product honestly is like photoshop in a spray can or confidence in bottle. It offers great coverage and makes my legs look and feel smooth after just one coat, it has just the right amount of shimmer in the formulation hence the glow.If you have excessive hyper pigmentation and desire maximum coverage the product is definitely buildable without looking cakey (see my legs HERE ). 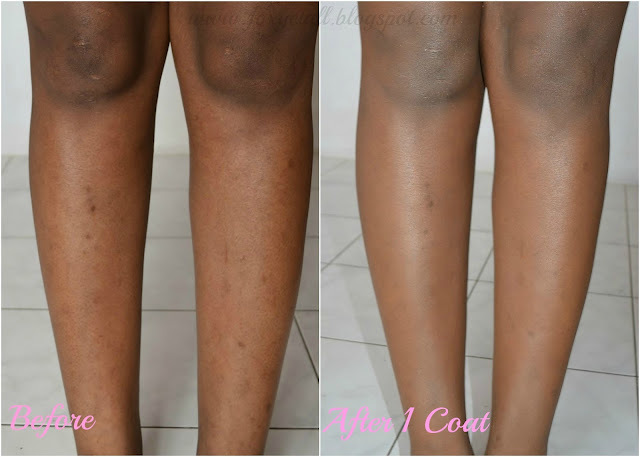 The Sally Hansen Airbrush Legs is very long lasting and only transfers if you aggressively/vigorously rub your legs , in terms of it being water resistant it is resistant to some extent in that if your legs come in contact with a few water droplets the product is not going to drip off your legs however if you rub it will gradually start to smear. On the other hand the smell leaves much to be desired as it is slighting overpowering although its not unbearable. 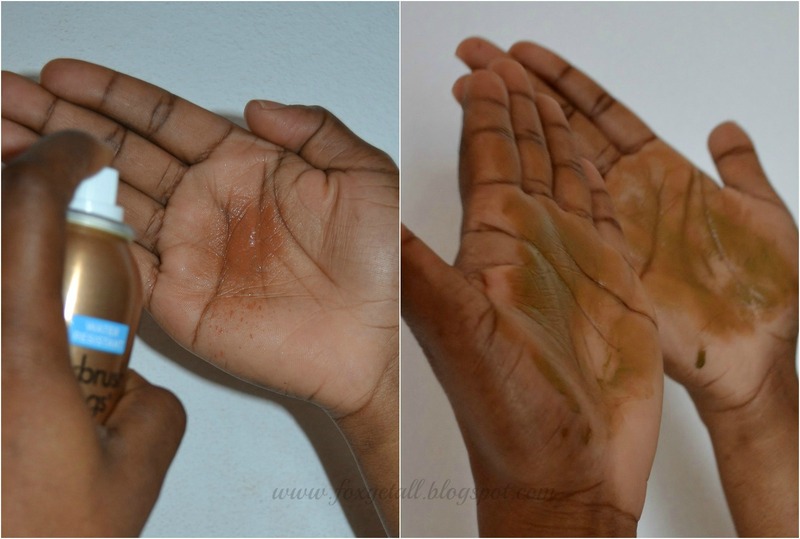 In conclusion I would give this product a 10/10 as it offers great coverage, it is long lasting, the colour stays true as in there is no evidence of oxidation like in a typical foundation there are 4 shades which will compliment a variety of skin tones and you get 4.4 oz of product for under JMD1900 in a pharmacy or HERE on amazon. I would definitely recommend this to ladies who can relate to my story and is self-conscious about scars and blemishes and would like to try a short term solution. Have you tried this product if so what are your thoughts if not would you give it a go? I saw this in stores but wasn't sure about buying it - now I am! Your legs look great. Can't wait to try it!! I saw this the other day while shopping too. I think I might try it. Thanks for the review! I didn't think it would look so good. I've seen it and was extremely sceptical and now I think I'll try it. great!!! ive seen this before and never knew how effective it was, great post! Does this cover razor bumps? Hi Foxy, did you purchase this product in Jamaica?